PHILANTHROPY AND PHILANTHROPISTS What can YOU learn from Giving Australia 2016*, Australia’s largest ever review and analysis of giving and volunteering, funded by the Department of Social Services (DSS) as an initiative of the Prime Minister’s Community Business Partnership (the Partnership)? What are the key messages from grantmakers and philanthropists about giving today and in the future? 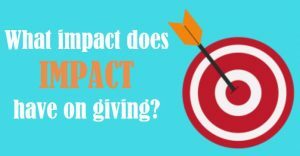 How is giving happening and why and to what? 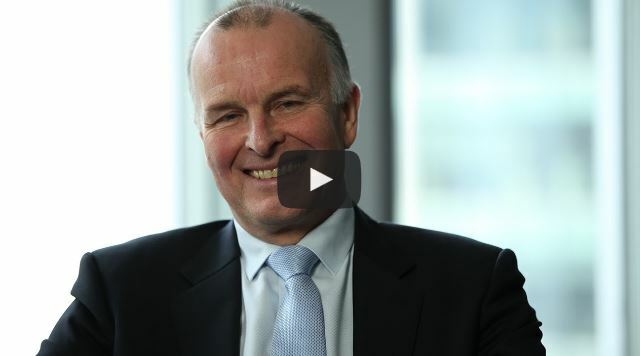 What are grantmakers and philanthropists saying about the future of philanthropy in Australia? 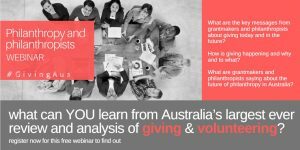 This webinar is the first in the Giving Australia series and includes the key data and insights from Giving Australia 2016. Check your time zone Can’t attend in real time? You should still register. All registrants will receive a recording of the webinar. WHO Giving Australia researchers: Professor Jo Barraket and Dr Christopher Baker from the Centre for Social Impact Swinburne, Swinburne University of Technology with inputs from ACPNS at QUT, DSS and the Partnership. IS THIS FOR ME? Data from the philanthropy sector is rare in this country. 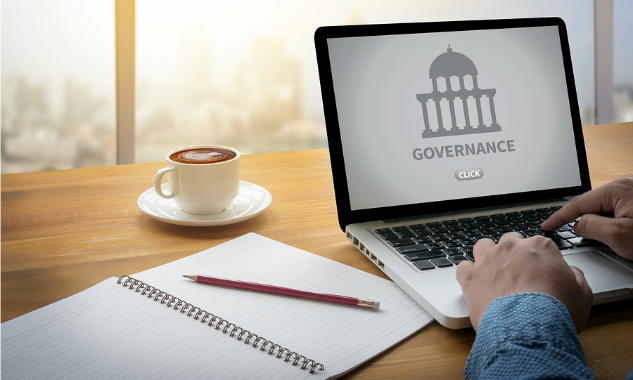 This is an invaluable learning experience for those working in the philanthropic and nonprofit sectors, especially those working in grantmaking and grantseeking areas. Giving Australia reports will be released progressively throughout coming months, each with its own in-depth webinar led by key researchers – watch this space or email acpns@qut.edu.au for more information. Giving Australia reports and fact sheets are freely available via the Prime Minister’s Community Business Partnership research projects website, including the Philanthropy and philanthropists report, on which this webinar is based. 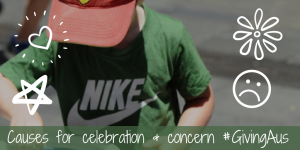 Learn more about Giving Australia | Subscribe to the Giving Australia blog *Giving Australia was commissioned by the Department of Social Services as an initiative of the Prime Minister’s Community Business Partnership. It was led by the Australian Centre for Philanthropy and Nonprofit Studies (ACPNS) at QUT with the Centre for Social Impact at Swinburne University of Technology and the Centre for Corporate Public Affairs. We thank Apple Marketing Group for publishing this article. Conversion rates for our renewal charity campaigns have sustained well compared to the overall figures quoted in the report (refer page 7 of highlights report). On average we have seen a slight decrease over the same period of between 3% – 6% across all appeals vs. 30-40% overall decrease shown in the report. Providing transparency, customer services and delivering receipts on time all assist with retention rates for our client campaigns. This is a significant finding in my mind because Regular Giving is a key component to our charity fundraising success. Over the past few years we have been nurturing a RG telemarketing team of talented individuals, all hand-picked for specialist training based on their ability to handle a more complicated ask. They are, in my opinion, the best in the business. Our results across raffle, donor and door knock speak for themselves, with strong conversion trends year on year. We thank Generosity Magazine for publishing this article. Christopher Baker and Wendy Scaife explore how impact influences giving choices using data from Giving Australia 2016. If we built a word cloud of Giving Australia 2016, ‘impact’ would loom in large type. Here are a few findings, particularly from the Philanthropy and philanthropists’ survey and interviews, as well as from the nonprofit perspective. Achieving impact was a key driver for philanthropists. In fact, the most common motivating factor for 92.9 per cent of survey respondents was ‘belief that giving can make a difference’. whether a grant or gift was likely to contribute to sustainable positive impact. being confident that the grant would provide ‘bang for buck’ in terms of impact (65.4 per cent). We thank ProBono for publishing this article. 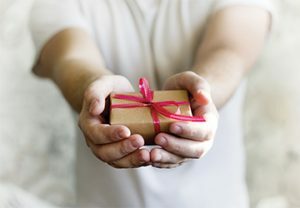 People are becoming more charitable in the UK with almost nine in 10 people (89 per cent) saying they did something “charitable” last year, according to a major not-for-profit study on giving. 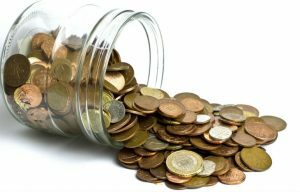 The Charities Aid Foundation (CAF) annual UK giving report found that giving money to charity held steady last year despite huge political developments, such as Brexit, with donations totalling £9.7 billion (A$16.17 billion). And a month-by-month survey since the EU referendum showed no shift in people’s reported giving. The report found that the giving trend was a significant increase on 2015 when 79 per cent of people said they did something “charitable”. Medical research was the most popular cause. Just over one in four people (26 per cent) gave to a medical research charity last year, closely followed by animal welfare (25 per cent) and children and young people (24 per cent). The median average contribution for a charitable donation or sponsorship was £18 (A$30). The report said cash was still the most common way for people to give, accounting for 58 per cent of people having donated in this way. Slightly more than one in four (26 per cent) gave online. But CAF said there had been a “Brexit-effect” on other types of support for charities and causes, with volunteering and campaigning both up since the referendum. 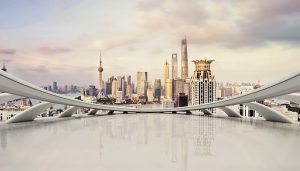 A social enterprise that connects those who can give with those in need has been named as one of the top 20 businesses of tomorrow. Giving platform GoodCompany was chosen from almost 2,000 applications as a “high potential business of tomorrow” as part of Westpac Businesses of Tomorrow program. 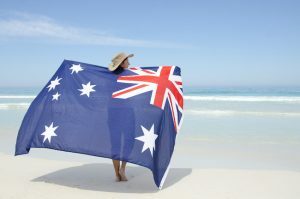 In total, Westpac recognised 200 businesses, with a collective turnover of approximately $2 billion per year, “that have the drive to boost the nation’s future as Australia transitions to a services and knowledge-based economy”. Of those 20 businesses were highlighted for high potential. Westpac Institutional Bank chief executive Lyn Coble said the calibre of applicants, which were chosen based on criteria including business purpose, contribution the community, current strengths and vision for the future, had been “extremely high”. 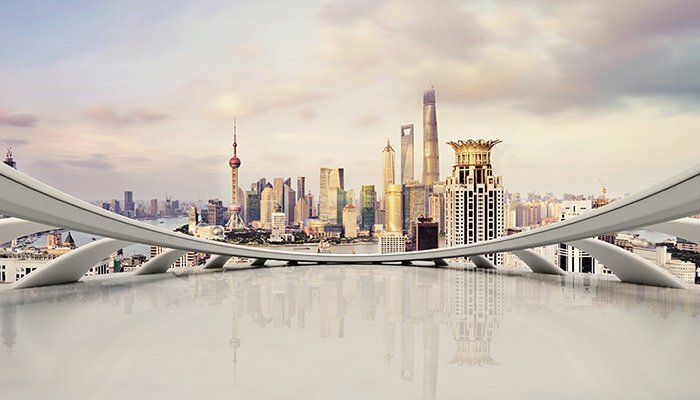 “These are leaders with a strong sense of purpose and the capability to think differently about meeting customer needs that exist today and those that may be needed in the future,” Cobley said. Judge and Westpac Business Bank chief executive David Lindberg said GoodCompany had made a significant impact. We thank Perpetual for publishing this article. A landmark report on Australia’s philanthropic sector has revealed philanthropists are placing the organisations behind the causes under intensifying scrutiny when determining their funding priorities. Evidence of project outcomes is increasingly important and this places not-for-profits under pressure to improve their levels of transparency and reporting. Commissioned by the Commonwealth of Australia, Giving Australia 2016 is the most extensive research project on Australia’s philanthropic sector in more than a decade. 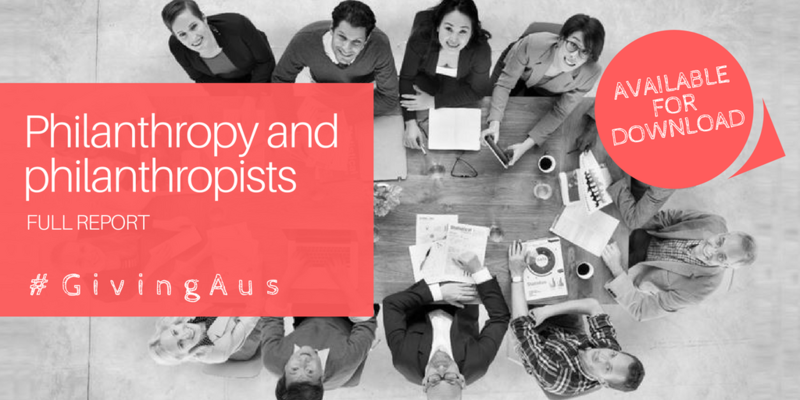 Findings from the full Philanthropy and philanthropists section of report, released this week, shed light on the evolution of philanthropy in Australia, the current barriers to giving and priorities for the future. The reasons people give echo the findings from Giving Australia 2005, with the key motivators being to make a difference and give back to the community according to personal values. We thank the Prime Minister’s Community Business Partnership for posting this article. The Hon Christian Porter MP, Minister for Social Services, released Giving Australia 2016 Philanthropy and philanthropists report and announced the opening of a grants funding round to celebrate grassroots partnerships between business, philanthropists and community organisations during Community and Philanthropy Partnerships Week. The Philanthropy and philanthropists report focuses on the giving patterns of high-net-worth (HNW) and institutional givers. Findings from this report will be of particular interest to philanthropists and grant-makers, financial intermediaries including advisors and planners, and nonprofit organisations. HNW individuals have nearly doubled from 146,000 in 2005 to 234,000 in 2015. As giving tends to increase with income, this provides a greater pool of people with the capacity to give significant amounts to charity. Evaluation of effectiveness and social impact is of growing significance for institutional grant-makers. One in five survey respondents included impact investments in their fund’s portfolio but it remains on the fringes of the investment strategies. More than a third of the 105 respondents to the Philanthropy and philanthropists survey (38.5 per cent) participated in collective giving. This was on top of giving individually or through foundations. The report also found a trend in life-long giving, with younger philanthropists wanting to give what they can while building their wealth. We thank Financial Standard for publishing this article. Collective and collaborative giving is on the rise in Australia, with more than a third of philanthropists suggesting they give as a group as well as individually. The latest giving patterns of high-net-worth (HNW) and institutional givers was released by Giving Australia 2016 this week as part of a program run by the Department of Social Services. Perpetual, one of Australia’s largest managers of philanthropic funds, welcomed the launch of the Giving Australia 2016 report. The report notes how the area of social impact investing is starting to make inroads, with one in five philanthropists surveyed saying they had impact investments in their respective fund portfolio. Speaking at an event for not-for-profit and philanthropy clients and partners, Perpetual managing director and chief executive Geoff Lloyd said the Giving Australia project was a landmark study for Australia’s not-for-profit sector, community and policy makers. “As the most comprehensive insight into Australia’s philanthropic landscape, the research offers valuable insights for every part of the giving community – in particular for not-for-profits (NFPs) looking to secure a sustainable future,” Lloyd said. We thank Perpetual for posting this video. The Giving Australia 2016 research project was commissioned to provide critical information about philanthropic behaviours, attitudes and trends. As the largest ever research initiative of its kind in Australia, it is a landmark study for Australia’s not-for-profit sector, community and policy makers. Perpetual Chairman and member of the Prime Minister’s Community Business Partnership, Mr Peter Scott talks about the project and its importance to the philanthropic and nonprofit sectors in Australia. Giving Australia 2016: what’s it all about? We thank Fundraising and Philanthropy Magazine for publishing this article. In the first of her series on the Giving Australia 2016 report, Associate Professor Wendy Scaife provides an overview. Despite the strict economic logic of our modern market economy, giving and volunteering behaviours have been resilient in transitioning from ancient cultures to remain a vital social exchange valued as the mark of a caring and compassionate society. (Individual Giving and Volunteering report, Giving Australia 2016 report series. To what extent Australian individuals, businesses and foundations are practically caring and compassionate formed the bedrock of the Giving Australia 2016 study, the largest such research ever undertaken in this country. In coming issues, F&P will profile core findings. This first article provides a background to the study, explains why it’s important and delivers some headline findings released so far. We thank Third Sector Magazine for publishing this article. When you put $20 in the charity collector’s can at the traffic lights, you trust that it goes to the people the charity was set up to help. But how do you know if this is actually the case? The vast majority of donations Australians make are on the spur of the moment, often triggered by emotional concern for a cause that is close to their hearts. There is little opportunity, inclination or sense for someone making a small donation to expend effort doing due diligence on the recipient. So, what are some ways that charities cheat their donors? And what can be done about it? Australians are a famously giving people, but what are some of the issues surrounding charities in this country? You can see our infographic snapshot here, and follow our series Charities in Australia here. Some 80.8% of adult Australians – 14.9 million of us – contributed financially to charities and non-profit organisations in 2015-16. At A$12.5 billion, total giving was well up from $4.7 billion a decade ago. The average donation of $764.08 was up too in real terms, by $210.16. However, the percentage of people donating dipped from 87% over the same period. Annual data on tax-deductible donations tells a similar story, underlining the concern about a flatlining future for Australian charities if fewer people donate. 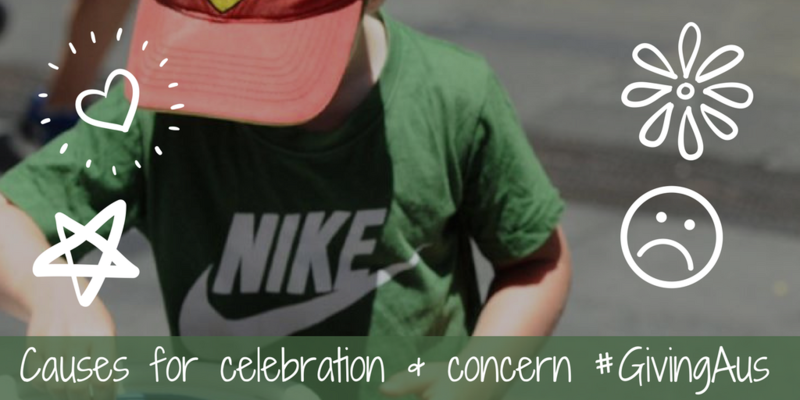 Trends emerging from the Giving Australia 2016 study, previewed last December, are cause for both celebration and concern.